Parenting in the modern age is incredibly rewarding – but also incredibly challenging. There is pressure from all sides to set your child up for success, and also protect and nurture them through the ups and downs of growing up. This is made all the more challenging when it becomes clear that your child may be suffering from learning difficulties. An untrained spectator, such as a mainstream teacher or earnest parent, might look at a specific child and think that the child is being lazy. Yes, there are times when a scholar needs to pull up his or her socks. But in other instances, he or she may have a very real learning difficulty which requires assessment. What should a parent do when an educator brings to the parent’s attention that their child is lagging in performance? It is always in the child’s best interests to take the matter seriously. Don’t disregard what the teacher is saying. Don’t become furious with the child, either. He or she will need loving support and encouragement for the road ahead. Also, don’t despair. Disillusionment can be helpful if it leads to a positive turning point. 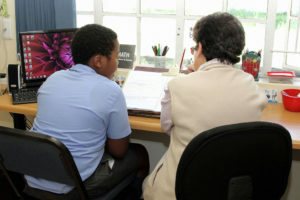 We have seen many pupils with learning difficulties move on to realise their potential. Many past pupils at Japari have lead very fulfilling, meaningful lives. This can be your child too. Once the child has been diagnosed it is time to consider what options are available for moving ahead. Something every parent soon learns is that no textbook can tell you exactly how to deal with each child. It is a daunting aspect of our parenting that we will have to walk a road with our children, always trying to figure out what is best for them. Daunting, but also exciting and fulfilling when we give the journey the input it deserves. It is part of the philosophy of Japari School to acknowledge from the get-go that each child is unique. Each has his and her own special nature, attributes, and potential. And also, each is facing a unique set of challenges. This is why our staff is highly trained in many disciplines. We have experts in fields from psychology to occupational therapy, to physiotherapy, and many more. We can say with confidence that we will be able to accurately assess what learning difficulties are afflicting your child. With this in mind, we begin to tailor a specific learning program for them to move forward with their education. There is much confusion around the definition of learning difficulties. Every institution has their own definitions and answers to a range of questions: Are learning difficulties the same as learning disabilities? 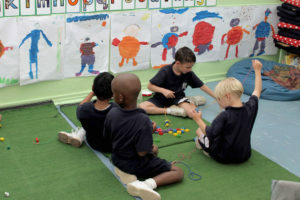 Are learning difficulties always linked to low IQ scores? Are learning difficulties a result of psychological or physiological impairments? At Japari, we walk a road with parents to cut through the confusion around these issues. · Dyslexia. The student may become confused about the order of letters within words, and words within sentences, while reading and writing. It is most apparent in literacy but may also affect other learning processes. · Attention Deficit (Hyperactivity) Disorder. Restlessness, excessive fidgeting, inability to focus for extended periods of time. You may feel like the child doesn’t have a “filter” on what they say. They blurt out statements that are inappropriate or at inappropriate times. · Developmental Coordination Disorder. This affects the child’s physical coordination and making it difficult to do everyday physical tasks. There are many other disorders facing each unique child. Parents can look out for the following signs: Difficulty in reading and writing, difficulties with memory skills, difficulties in dealing with distractions or busy environments, difficulty in listening and comprehending communication, and severe difficulty in time management. If you are a parent in this situation, it can feel overwhelming. Maybe you suspect this to be true of your own precious child and need to investigate about having an assessment done. Maybe you have had your child assessed and it has confirmed your fears. It is important to know you are not alone. For one thing, there are many parents who have experienced what you are going through. You are not alone in your battle. Sadly, there are most likely many other parents who have had it even worse than you have, and it is helpful to keep that perspective. And there are also many who have overcome the challenges and enjoyed a wonderful quality of life for their children as well. For another, there are well-equipped institutions who are available to help. 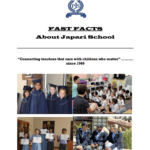 At Japari, we emphasise a caring, supportive environment to see your child through the turbulent waters of education. Our goal is to see them re-enter mainstream education channels. We want to assure you that you, too, can have hope for a success story in the life of your child. Great informative article. I think Japari is doing a good job of supporting the kids accordingly.